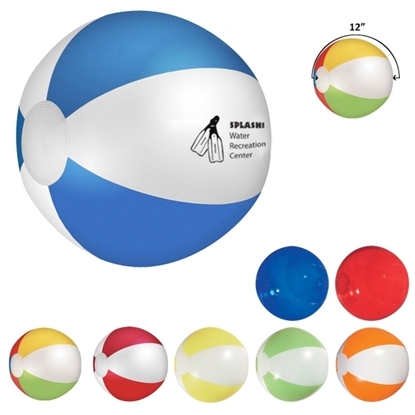 Your brand will have a ball during its next promotional campaign thanks to this 12" beach ball! This fun giveaway is available in several colors, both translucent and white with accenting colors. It's a perfect way to promote any beach resort, hotel, swim club, rec center and so much more. Customize with a pad-printed imprint of your company name and logo for maximum brand exposure. Associate your company with fun in the sun today! Mypromotionalpens.com offers the largest and best priced selection in Promotional Beach Towels. We will price compete and we won't be under sold. Let our graphic designers make your personalized Beach Towels standout above the crowd at no charge. We won't stop until you are completely satisfied with your custom Beach Towels art proof.Use category search filters on your left to help narrow your search to find exactly what you are looking for.